In Washington state and across the nation, overdoses have surpassed traffic accidents as the No. 1 cause of accidental death. The death of Prince has helped fuel a national conversation about opioid painkillers as investigators look into whether a drug overdose killed the pop superstar, whose cause of death hasn’t been released yet. Prince would hardly be the first famous figure to battle opioid addiction. But it’s not just a celebrity problem. In Washington state and across the nation, overdoses have surpassed traffic crashes as the No. 1 cause of accidental death. The Centers for Disease Control and Prevention calls it an epidemic, noting that overdoses killed more Americans in 2014 than in any other year on record. Most of these overdose deaths involve an opioid — a type of drug that dulls pain signals to the brain. Opioids include heroin, which caused 10,574 overdose deaths in 2014, and prescription painkillers, linked to 18,893 deaths that same year, the CDC reports. The epidemic crosses almost all demographics. Doctors have been prescribing more opioids every year since 1999, and as sales have climbed, so has the rate of overdose deaths, according to the American Society of Addiction Medicine (ASAM). Officials at every level are grappling to find solutions. Some states, including Washington, have passed laws meant to curb use of prescription painkillers. But as a result, many addicts have turned to heroin, which can be cheaper and easier to get, according to ASAM. As heroin deaths spike in the Seattle area, a proposal is on the table to create a safe-injection site here — the first of its kind in the nation — where users could openly take drugs while under medical supervision. Seattle bicycle patrol officers were equipped in mid-March with the drug naloxone, which can prevent an overdose by blocking opioid receptors in the brain, to be administered nasally to people suffering an overdose. The officers have saved three people so far from potentially fatal heroin overdoses, the Seattle Police Department said this week. Component post 9968365 could not be found. “Opioids literally cause very clear biochemical brain changes,” said Caleb Banta-Green, a senior researcher at the University of Washington’s Alcohol and Drug Abuse Institute and a member of the newly formed King County Heroin Task Force. 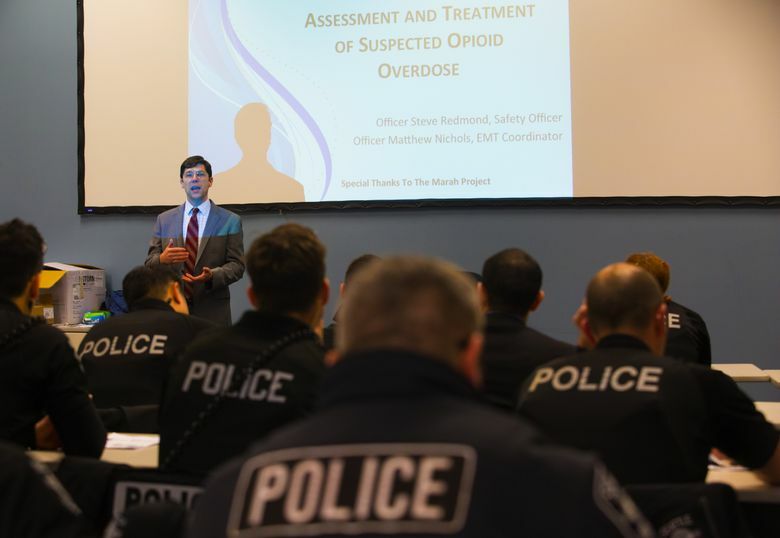 There are no simple answers to addressing opioid addiction, he said, but good tools do exist. Opioid painkillers are meant to work on acute, surgical pain. But they are most commonly prescribed to people who suffer from chronic pain, despite studies showing they are not particularly effective for that use, Banta-Green said. Besides risking addiction, users can develop a “hypersensitivity to pain,” he said. For people already addicted, Banta-Green said drugs such as methadone and buprenorphine should be made more easily available. In Washington state, buprenorphine — which protects against withdrawal symptoms and cravings without producing a euphoric high — can be dispensed only by doctors who have received special training, and each doctor can write only 30 prescriptions for the drug in the first year. Banta-Green said that even if toxicology reports were to show that Prince had opioids in his system, it might still be impossible to know what happened. Many accidental overdoses occur when people take prescribed painkillers and benzodiazepine-based anxiety medications along with alcohol, he said, because the three commonly used substances magnify each other’s effects. Christine Clarridge: cclarridge@seattletimes.com or 206-464-8983. Information from The Associated Press was included in this report.